We consider string pair production in non homogeneous electric backgrounds. We study several particular configurations which can be addressed with the Euclidean world-sheet instanton technique, the analogue of the world-line instanton for particles. In the first case the string is suspended between two D-branes in flat space-time, in the second case the string lives in AdS and terminates on one D-brane (this realizes the holographic Schwinger effect). In some regions of parameter space the result is well approximated by the known analytical formulas, either the particle pair production in non-homogeneous background or the string pair production in homogeneous background. In other cases we see effects which are intrinsically stringy and related to the non-homogeneity of the background. The pair production is enhanced already for particles in time dependent electric field backgrounds. The string nature enhances this even further. For spacial varying electrical background fields the string pair production is less suppressed than the rate of particle pair production. 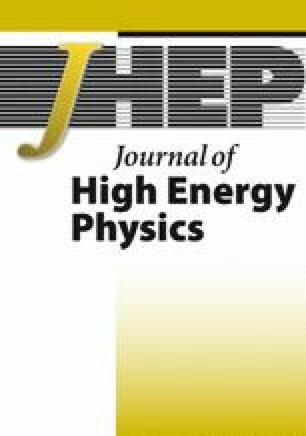 We discuss in some detail how the critical field is affected by the non-homogeneity, for both time and space dependent electric field backgrouds. We also comment on what could be an interesting new prediction for the small field limit. The third case we consider is pair production in holographic confining backgrounds with homogeneous and non-homogeneous fields. G.V. Dunne, Q.-h. Wang, H. Gies and C. Schubert, Worldline instantons. II. The fluctuation prefactor, Phys. Rev. D 73 (2006) 065028 [hep-th/0602176] [INSPIRE].